This golden colored case cover for Samsung Galaxy S6 Edge has a royal look that is sure to impress any stylish women. It comes with a detachable aluminum bumper which ensures complete protection of the edges and the acrylic glass finish back gives it the most luxurious look. The cover is lightweight and offers a comfortable grip. This snap on case can give high protection to your device while adding the right look. 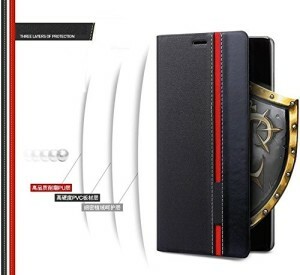 Add the best protection to your device in style with this armor case. This detachable dual layer case is simply beautiful and tough. It absorbs impacts efficiently and the precise fit ensures maximum coverage and protection. The cover is highly durable but does not add bulk to the device and comes with a built in stand. The case comes in gold color and can make a perfect choice of the fashionable women. This transparent case has a stylish design and offers all round protection. It does not hide the beauty of your device while protecting it from scratches, finger prints, dust and bumps. It includes specialized dust caps and the new Active Touch technology gives a naturally responsive feel while using the volume or power buttons. 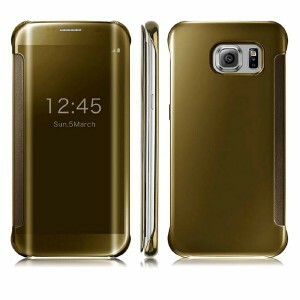 This gold case for S6 Edge has a great look that is sure to fetch you many compliments. The case provides maximum coverage to your smartphone and can save it from stains and dust. It includes port hole covers which adds to the overall efficiency of the case. The back case mirror design gives it a unique look and you can even quickly check out your look in it. This beautiful pink colored Samsung Galaxy S6 Edge cover is sleek and form fitted which ensures high convenience of use. The ultrathin design makes it bulk free and yet it absorbs shock from bumps and drops most efficiently. It comes with a convertible stand enabling you to have a great hands free viewing experience. The cover has dotted design but is not a dot view cover. This cover has been designed for Samsung Galaxy S6 Edge and hence it offers a perfect fit and proper cut outs for the device. The cover is slim and lightweight and does not add bulk. It protects your device from any kind of scratch and smudge due to the clear protective inner shell. The cover includes in built slots for storing your cards and currencies. It also has convertible stand for hands free viewing. This mint colored Galaxy S6 Edge case gives a complete case free feeling due to its intelligent shape and design. It is slim and lightweight and is made from high quality polycarbonate. This hard case has a soft, matte finish which ensures easy grip. 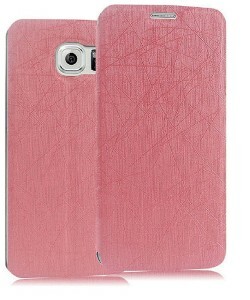 The case can provide protection to your device from scratches, dust, fingerprints and shock of drops or bumps. This unique Galaxy case cover provides protection to your device from scratches and shock and fits perfectly on the device providing easy access to all the ports and sensors. The cover can be installed and removed with ease and the stand function ensures hands free easy viewing experience. The cover also includes conveniently designed slots for holding your cards and currencies ensuring maximum convenience. This back case cover is slim, beautiful and yet tough. The cover provides coverage to your device from dust and damage and can absorb shock. 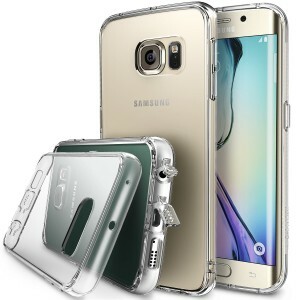 The case is form fitted for Samsung Galaxy S6 Edge and offers perfect cut outs for accessing all the ports and sensors. It includes a built in stand and can actually be really handy for use with your sophisticated mobile device. 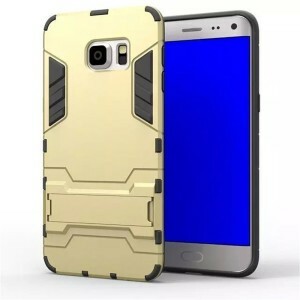 This case is also available in other colors. This stylish Samsung Galaxy s6 Edge mobile cover case is built to offer style along with maximum protection for your device. It can protect your smartphone from scratches, dents and bumps efficiently. This model has a lightweight and sleek design which ensures a bulk free experience. The cover comes with perfect cut-outs for ease of use. It has a smooth finish which looks absolutely elegant. Are you an active person who is always worried about damaging her sophisticated Galaxy S6 Edge device? Then this protective cover case can be just the perfect solution for you. This case cover is made from silicone-Aluminum Alloy which ensures the best longevity as well as a stylish look. The primary features of this case are, it is waterproof, shockproof and dust proof. Hence it can offer 360 degree protection to your device from any type of spill, bang, fall or scratch. It is also easy to install and remove. 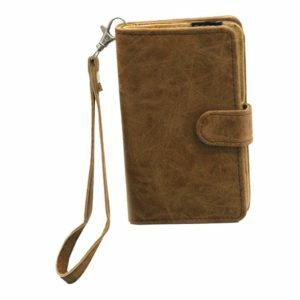 This stylish and premium quality leather made wallet case cover is designed particularly for Samsung S6 Edge and ensures a perfect fit. The cover is soft to touch but offers a tight grip reducing any chance of accidental drop. It protects your device inside out and gives the most sophisticated look that is sure to be cherished by any fashionable women. It is easy to use, highly durable and strong. The wallet cover protects your device from scratches, dust, bangs, falls and spills effectively.